How To Choose The Best Autoresponder? 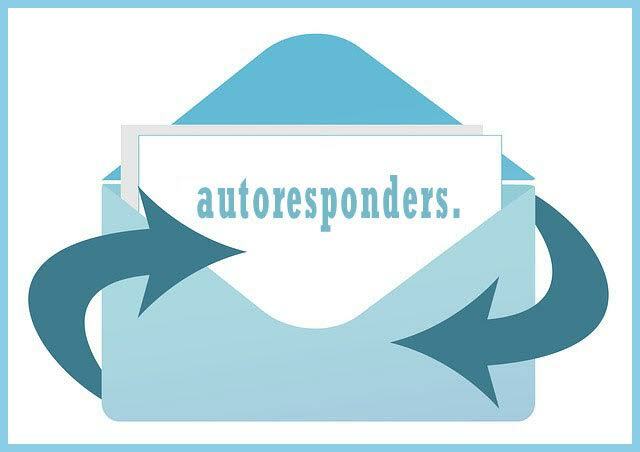 Autoresponders make your life easy by sending out automated responses to your customer’s communications. Whether you’re sending a follow-up to their subscription or a receipt to their purchase, autoresponders make it simple to send personalized and professional responses. There are many email marketing platforms to choose from so it’s important to understand the base features and the extras you want to make your business more efficient. First, let’s look at segmentation, which is a term used by email marketers to describe the way you categorize and define your subscribers. As you collect subscribers, you can further segment them based on any qualities you choose, from their demographics to the time they subscribed or their last purchase. Doing so allows you to send more targeted and effective emails based on what works best for the individual. The level of segmentation depends on which platform you choose. If you have a diverse group of subscribers or a detailed marketing strategy which requires you to send multiple emails throughout a customer’s time with you, then you will need more segmentation options. Once your contacts are properly segmented, the level of automation should be taken into consideration. Just as there are options to segment your contacts, you should have additional options for when automated responses are sent. Some platforms allow you to personalize the content and design of your automated responses based on the information you’ve collected about the customer. Offer special deals based on their previous purchases, or thank-you emails with their shipment tracking link attached- it’s all about a personalized approach. Integration is just as important as segmentation and refers to how well your email marketing platform integrates with 3rd party tools like social media networks and marketing solutions. In the beginning, you will need good integration to import your contact lists and other analytical data. After that, you may be interested in features which let you convert RSS feeds to email, or want to expand your contact list by linking to social media. Make sure your autoresponder integrates with your other favorite business tools or you’ll miss out. Depending on the size and nature of your business, your autoresponding and email marketing needs may be very different. Here’s a look into the different needs of businesses large and small. Small businesses rarely have the money for a team of marketers devoted to their online campaign. Luckily, many email marketing platforms allow for the handicaps of small businesses by providing intuitive, easy to use drag-and-click interfaces, helpful suggestions for design and SEO, and tools to help build your contact list. GetResponse provides autoresponding, landing page and webinar services for as low as $15/month and is a great option for any small business. They have 500+ professional templates to help get you started designing beautiful emails and 24/7 customer service to meet your concerns. If you have the resources to devote to an online marketing strategy, you may require more advanced tools. This is when the level of automation and segmentation becomes an issue, as large businesses will have more diverse customers with a larger range of habits to consider. You will also need advanced analytical reports that monitor the success of your campaign, as well as split testing to ensure you’re putting the best effort forward. For larger businesses in need of more comprehensive features, GetResponse can provide a promising service. Also, you can consider a tool like Infusionsoft, which offers many other business solutions in addition to email marketing tools. You should know that most email marketing tools have both monthly and annual fees based on how many contacts you have and how many emails you send. The prices vary widely so it’s wise to consider the future of your company and if you have space to grow. However, considering all above-mentioned factors, if you are looking for a powerful email marketing platform; GetResponse is the way to go.